Maryam is excited to open her new patisserie outlet, but is worried as to how she will continue paying staff salaries till business picks up. Justin’s online electronics store is thriving and he is looking to expand to new geographies. Deepak’s supermarket chain generates a lot of cash daily and he is wondering how he can manage this efficiently to ensure regular supplier payments. Small and medium sized enterprises (SMEs) such as the above look to banks and financial institutions to help them run their businesses successfully. Globally, there is estimated to be over 500 million SMEs that contribute significantly to countries’ economies and employment. The UAE is home to about 350,000 SMEs (defined based on business turnover and employee headcount for trading, manufacturing and services sectors respectively) that employ three-fourths of the country’s working population and contribute to 40 per cent of the nation’s GDP. For the banking sector, business banking customers are an important segment that make up about a tenth of industry revenues as well as provide access to wealthy owners and salaried employees for retail banking services. 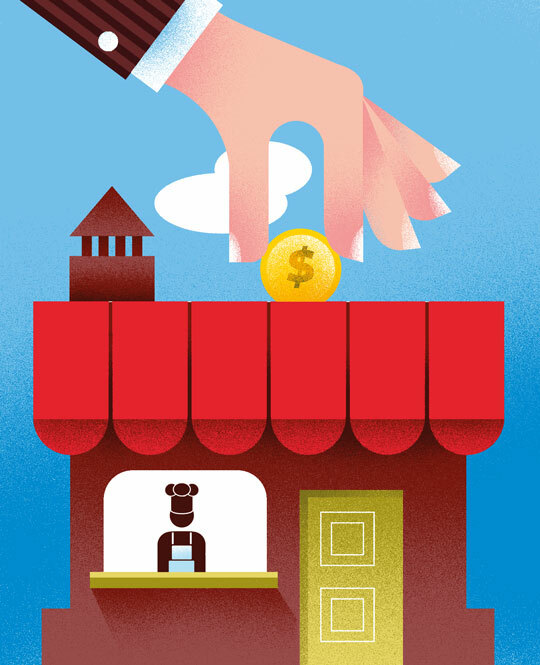 Banks offer a bevy of solutions to assist entities in running their businesses. Checking accounts and cash management solutions enable efficient day to day running of the companies. Working capital finance provides short term funds to take care of ongoing obligations while longer term loans are provided to fund market expansions or for purchases of new assets. Specialised treasury-based services help enterprises manage any foreign exchange related requirements or to invest surplus funds effectively. Digital online and mobile platforms provide round the clock access to make payments and transfer money. Innovative product solutions such as Emirates NBD’s recently launched VAT-based loans that use tax returns as a surrogate for income proof, enable SME customers to access bank finance better. Banks are increasingly going beyond providing traditional services and acting as a partner to SME customers to help them manage their businesses or service their customers better. mBank in Poland provides an AI-powered accounting software that helps SMEs manage their book-keeping services. ANZ’s Business Ready online platform enables customers to set up business in one day including meeting licensing requirements and launching a website. Scotiabank in Canada sponsors an online learning platform that entrepreneurs can sign up for at discounted prices. Other popular non-financial services include networking sites to engage with industry peers, online marketplaces that provide access to the bank’s customers, and co-working spaces for start-ups to use. SME customers today have access to a growing range of non-banking options to help with their financial requirements. Start-ups who have credible ideas can use crowd funding platforms such as Funding Circle and Kickstarter to raise capital from the public. China’s MYbank offers SME loans with instant approvals. Revolut, a London based fintech, has launched an SME app that has been received well by users owing to its simplified sign up process, better pricing and transparency. Banks like Barclays and DBS are partnering with fintechs to provide enhanced solutions that combine an intuitive user interface with the backing of a strong balance sheet. The structural importance of SMEs in growing economies have also prompted governments to introduce policies and legislation to support their growth. Robust bankruptcy laws, as in the UK or USA, can provide a lifeline to SME-owners in financial distress. Egypt recently mandated lenders to increase lending to SMEs to 20 per cent of their total loan portfolios by 2020, along with capping of interest rates. Countries like Turkey and Ireland have set up credit guarantee funds that share in potential loan losses with banks to encourage more lending. Closer home, the government sponsored Dubai SME and the Khalifa Fund provide start up loans to young Emiratis who wish to start a new business. Dubai EXPO 2020 has earmarked at least 20 per cent of its planned spend towards SMEs. Small businesses constitute the backbone of growing economies in more ways than one. Banks that seek to become their financial partner of choice will stand to gain from a significant business opportunity while also playing a part in furthering the nation’s economic growth and development.